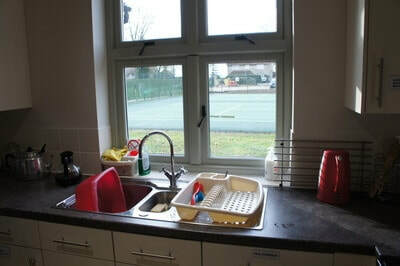 ​Owned by Oving Parish Council, the village hall is managed by a registered charitable trust. Completed in 2014 Oving Village hall, constructed of beautiful oak with a vaulted ceiling with the highest quality amenities and modern facilities. The village hall is well lit with natural light and high- quality fittings. It benefits from a blackout facility using wooden shutters for daytime presentations and privacy. Parties, classes, activity groups, business meetings and presentations. 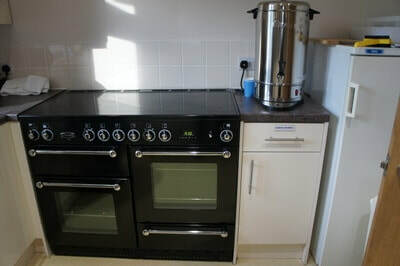 Range cooker, use of plates, glasses, cutlery, coffee machines, water boiler provided. Included in hire for up to 80 guests. Projector and fixed screen with sound system available to hire at additional cost. To arrange to view the hall and discuss your particular requirements please call our bookings secretary who will be delighted to assist.